Thucydides has been found guilty of indifference toward financial matters without a consideration of all the evidence. Lisa Kallet-Marx redirects the approach to Thucydides' treatment of financial resources by studying his comments on finance in the context of the whole work and scrutinizes other, chiefly epigraphic, evidence as well. 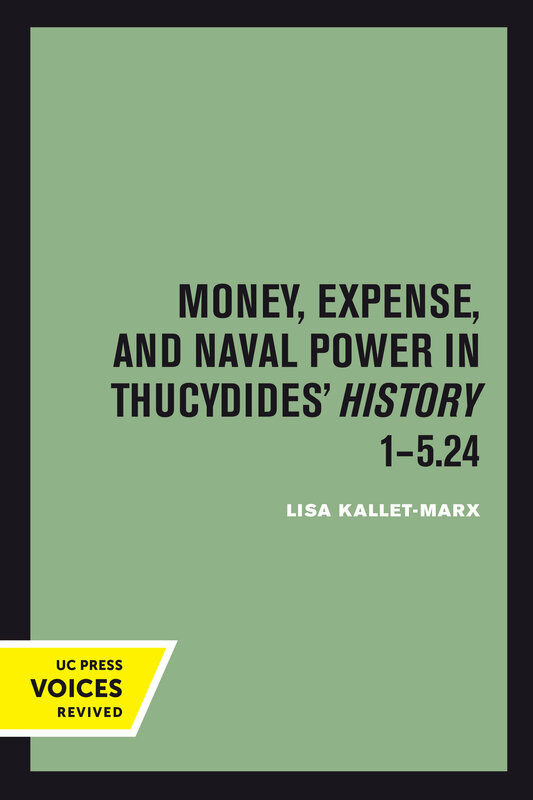 Her comprehensive inspection of the Archaeology, Pentekontaetia, and history of the Archidamian War demonstrates that the role of financial resources is central to Thucydides' ideas about naval power and figures prominently in his speeches and narrative. The accumulation of chremata, or money, and its relationship to nautikon, or the fleet, provide a key for analysis. Kallet-Marx's research reveals an important stage in the historical development of thought about state power, wealth, and imperialism. Her book will greatly interest classicists as well as scholars of ancient economics. Lisa Kallet (previously Kallet-Marx) is the George Cawkwell Tutorial Fellow in Ancient History and Associate Professor in Ancient History at University College Oxford.